So, you paid a SEO (Search Engine Optimisation) consultancy a lot of money to get you top of Google and now hundreds of thousands of people are visiting your website each day you have now sold thousands of your products and services, and within the month you have sold out your whole business for 6 figures, now you can buy your boat and go Merlin fishing and cruising around the Mediterranean till the end of your days. Wakey-wakey rise and shine, smell the coffee! Paying for SEO and expecting quick massive results is like buying a Ferrari steering wheel and then expecting to win the grand Prix, however this is often how it is sold to website owners. It is sold like an elixir to all your issues and challenges. 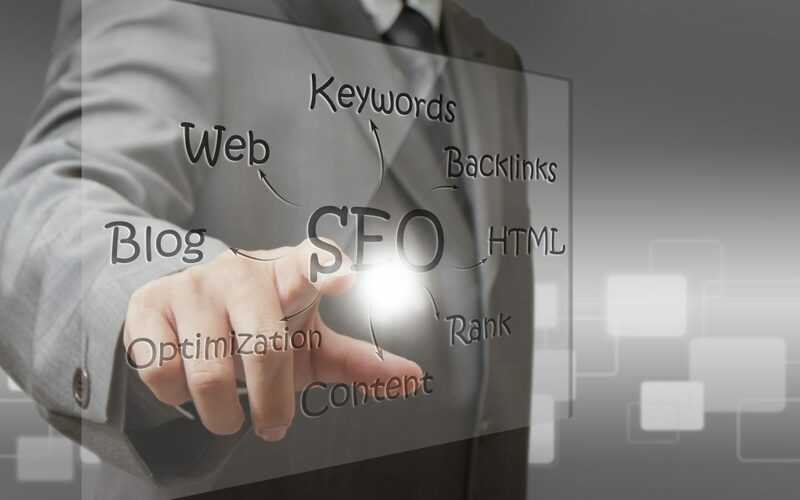 SEO is one small component in the myriad of activities you must do to be successful in your business. Have you checked recently? I used to use a company called User Testing, they had a great idea where you paid just $5 and you could write out a few questions, like: What do I sell? How do you contact me? A few days later you receive by email a recorded voice message from someone completely anonymous to you, where they just tell you honesty what they think of your web site and how easy it is to use, their job is to answer candidly your questions you set them. Are you selling a better Mousetrap? Then there is your offering; did you really spend enough time getting to understand your market place and you are convinced your product does what nobody else can? or are you a ‘me to’ business in a different coloured package? Do you have the answer to a major challenge? Does your product solve a universal itch and save people money? User experience or UX is another signal the top search engine companies use. How many steps are there for people to buy? what is your abandonment rate? As in how many trolleys full of stuff people were going to buy but just walked out paying nothing? You need to ask why and improve your service before you pay to advertise. Spend enough money and you can get anyone to the top of Google. It does not mean you will sell more! Many SEO companies will take your money and get you to the top without looking at what you are selling or whether your product has potential or not, they don’t care, and it becomes your undoing, as you were not ready, you are not ‘already selling,’ you do not have a good enough ratio of website traffic to sales before you started with SEO. You end up just sending more people to see you are not as good as you say you are and consequently you have then lost them forever. As a Digital marketing consultant based in Thailand, I will not help anyone with SEO until I am convinced they have a product that will sell, and that they are selling already with a good ratio of how many people who visit their website become buying clients. Any Dragon’s Den Investor will ask; what are your sales like now? It is a bit like spending thousands on a full double page spread in local and national newspapers to come and see your shop in a mall, and when people come your shelves are half empty, the people sigh and walk out buying nothing at all and NEVER RETURN. How often do you think about Sales? The point of any business is to sell a product or service, SEO is one of many lead generation activities. Too many business people mistakenly focus on lead generation activities when as entrepreneurs we should be focusing on the end goal every single day. The end goal being many sales! As scholars of the law of attraction, ‘what we speak and think we become,’ well if you spend all your time concentrating on lead generation activities, it will be at the cost of your sales! Kobe Bryant never spent all his young life thinking about running up and down a basketball court or tackling players, all he dreamed about as a young boy was scoring the winning goal in a major basketball game, and we all know how successful he became. If lead generation activities are what you need to have a successful business, then they will all fall into place and provide you with the sales you need IF you envisage your company selling every singe day and imagining massive success. Netmedia Edge is a business that spends all its time on lead generation activities so you don’t have to worry about, think about, or even engage in cold calling, business networking events, SEO or social media, all we do is deliver you qualified sales leads you call up and go and sell to. How can I protect my privacy on Social Media? New year’s Social Media resolution!